Its summer time! Time for tank tops, grilling, and...the beach! 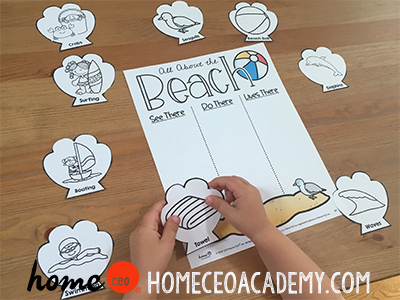 Our "At The Beach" unit is our seasonal bonus lesson for the summer. Check out some highlights from our week! Confession time...We lived in Los Angeles for 7 years and I can count on my left hand how many times we actually went to the beach. We are mountain people! This anchor chart was a great way to prime my little beach novice. 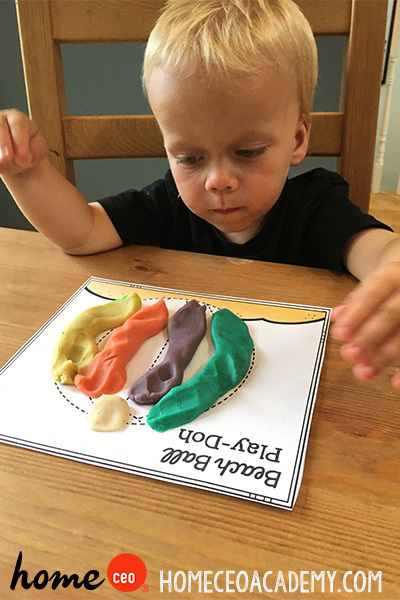 Porter looks forward to these playdough mats every week! 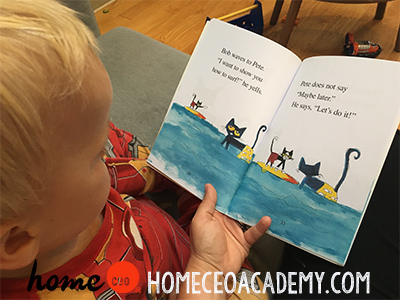 We <3 Pete The Cat books in our house! 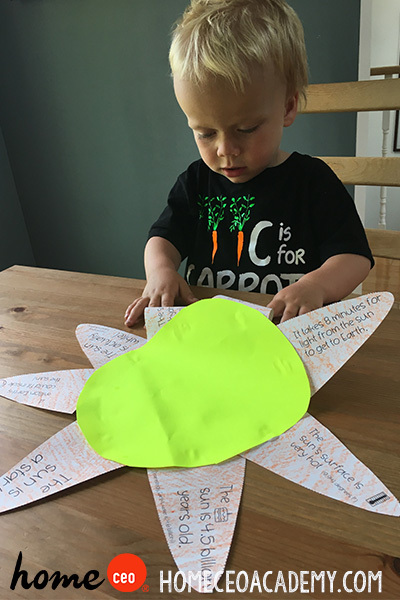 I'm 34 and I learned some new things from this sun fact activity! ***fun tip*** The band They Might Be Giants has a children's album called "Here Comes Science" and they have a song about the sun. Play it while you are doing this activity! Porter made a tactile star fish during our art period! 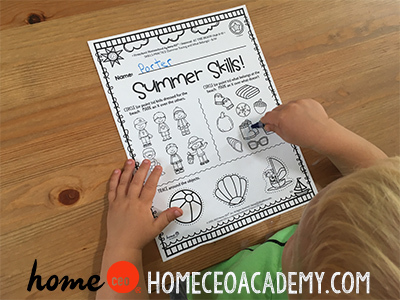 On this worksheet, Porter pointed the kids that were dressed for the beach and the items that were not meant for the beach. A great extension activity for this would be put clothes or outdoor gear on the floor and ask your little one to "Get dressed for the beach" or "Find 2 things you would NOT wear to the beach." Tangrams...our current obsession! 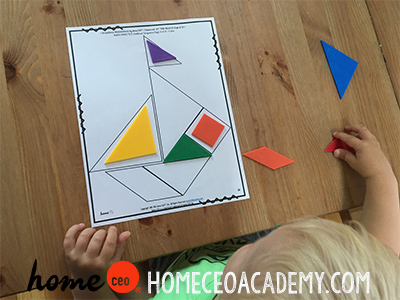 Our tangram worksheets come with the pieces you can print at home, or you can easily find a cheap set like these on Amazon. 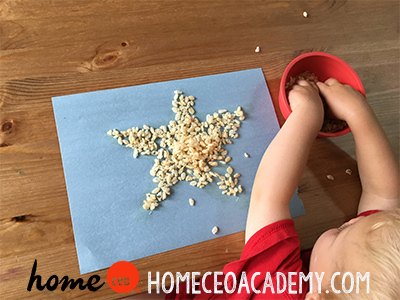 At The Beach is one of our 8 seasonal units that are blended into our 2-3 year old curriculum. It isn't assigned to a special week, so you are free to do it at any point over the summer! Check out our website for more information on our full year curriculum packages.